If you’re butting heads with a friend or neighbor in a debate over when to fertilize your lawn, the conflict could boil down to grass type. With cool and warm-season grasses prevalent in this area of Georgia, it’s easy to get confused about when to fertilize your lawn. Unfortunately, knowing when to fertilize your lawn requires a bit of research on your part. This is especially true if your lawn is made up of a less common grass. Once you’ve identified the type you have however, fertilization schedules will be easy to establish. In and around Alpharetta, you’ll find cool-season grasses capable of growing in areas with cold winters, like the ryegrass and fescue popular up North. You’ll also find the warm-season grasses more prevalent in the South, like Bermuda grass and Zoysia. No matter if you have cool-season grass or warm-season grass, you will need to know when to fertilize your lawn. Different seasons have different fertilization needs, so make sure you accurately identify your lawn type before proceeding. If you hire Think Green Lawn Care to handle your lawn’s fertilization and other maintenance, this is the first thing we’ll do before establishing your treatment schedule. Cool-season grasses require a heavy dose of fertilizer in late fall and early winter, leading into winter dormancy. They’ll keep growing until ground temperatures reach a steady 30° or lower. A deep infusion of Nitrogen aids in root growth. This reinforces the health of your lawn and protects it from harm during the harsh winter months. Warm-season grasses go dormant at much higher temperatures, so mid-late fall is best for fertilizer application. You will waste your money and efforts if you add product after the ground temperature is lower than 50 degrees. You might even harm your grass. If you’re attempting to perform your lawn maintenance on your own, choosing the right fertilizer after learning when to fertilize your lawn, can be disappointing. There are a number of consumer products available in standard mixes, though they regularly perform below expectations. Professionals get the cream of the crop, which is one very practical reason to hire a lawn service. In addition, you can enjoy your time away from work while relaxing instead of struggling to locate and apply the right lawn care formulas to your yard. Even less experienced professionals can make mistakes. The best fertilizer for cool-season grasses before the winter sleep is different from the fertilizer professionals use in spring and throughout the summer months. The best mix in fall is 25-5-5. Alternatively, you can use 18-0-0 at 5 lbs/1k sq ft or 45-0-0 at 2 lbs/1k sq ft. It’s helpful to seek the advice of a nursery if you’re going at it alone. The best fertilizer for warm-season grasses should be light on nitrogen, more along the lines of 8-18-22. “Winterizing” formulas are also a hearty option. Almost as important as the formula you’re using and knowing when to fertilize your lawn is the method used for application. Professionals often have the benefit of liquid products and high-tech equipment used in delivery. Homeowners are best sticking with granular fertilizer. Drop spreaders are the preferred device for laying down these products, as it prevents uneven distribution, and ultimately, uneven growth. Unsure of the type of grass growing on your property? 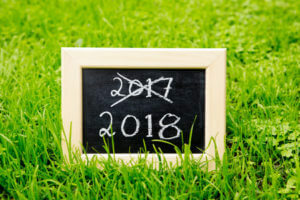 Worried about when to fertilize your lawn? Call (678) 648-2556, and schedule top-tier lawn services with the best provider in and around Alpharetta, Think Green Lawn Care. With 30 years in the business, we have the right tools, training and solutions needed to take care of business.